Dr. Ravi Mohanka is the Chief Surgeon and Head of Department of Liver Transplant and Hepato-Biliary Surgery at Global Hospitals, Mumbai. 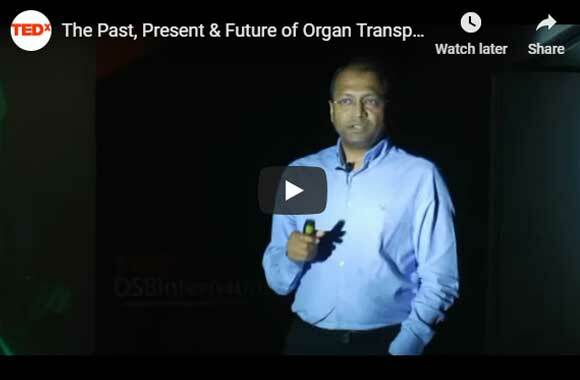 He has trained and worked at some of the most reputed hospitals in India and USA, including the prestigious Thomas E Starzl Transplantation Institute at the University of Pittsburgh. He has undergone laparoscopic and robotic liver surgery training in France and Italy. Global Hospitals at Lower Parel, Mumbai is the latest addition to the geographical footprint of Gleneagles Global Hospitals India. The 450-bed facility comprises of 17-stories, housing state-of-the-art infrastructure and advanced medical care facilities. The hospital offers end-to-end clinical, surgical and diagnostic services. It is equipped with a team of eminent medical professionals aided by qualified nurses and medical staff. Strengthening lives through compassionate care, innovative therapies and relentless efforts, it reflects in the DNA of our passionate team of doctors and dedicated clinical staff. The Hospital offers advanced Endoscopic procedures, Hepatobiliary and Liver Surgeries, Surgical and Medical Gastroenterology, Bariatric Surgery and Robotic surgery. The hospital is a center of excellence for Orthopedics, Joint Replacement, Knee Replacement, Hip Replacement surgery. The hospital has round-the-clock services for emergencies, critical care and trauma. Dr Ravi Mohanka is a liver surgeon in India with a rich experience in the field of liver transplantation and hepatobiliary surgery. He has worked in some of the prestigious hospitals in India and received training from renowned hospitals in the USA. His areas of expertise lie in Laparoscopic and Robotic liver resections For Hepato-Cellular Cancer in both adults and children, Pancreas transplantation, Intestine and multi-visceral transplantation, hepato-biliary surgery and is an expert in living and cadaveric donor liver surgery. 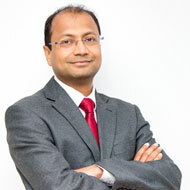 Dr Ravi Mohanka has performed several complex liver surgeries and treated liver diseases both in adults and children. He has written and published papers and presented his research at national and international conferences all over the world. He is constantly invited as a faculty to deliver lectures and speeches for aspiring medical students. Dr Mohanka has made huge efforts to bring about innovative changes in the world of liver transplant and surgery. He has trained in Italy and London and has been a pioneer to bring in modern techniques in order to make liver treatment affordable and available to those who need it the most. He also writes several blog posts to educate people about liver donation and various forms of liver diseases. Dr Ravi Mohanka is one of the top hepatobiliary surgery specialists at Global Hospital Mumbai. Being an experienced liver transplant surgeon for 25+ years, he is a renowned robotic HPB surgery expert in India. He is the head of liver transplant surgery at Global Hospital Mumbai and has a command in both living and cadaveric donor liver transplant surgery. Dr Mohanka's contribution to the sub-specialty of liver transplant surgery is very significant and his methods are innovative.